I came across an interesting book today, titled “Historical views of Devonshire” by Richard Polwhele (1793). 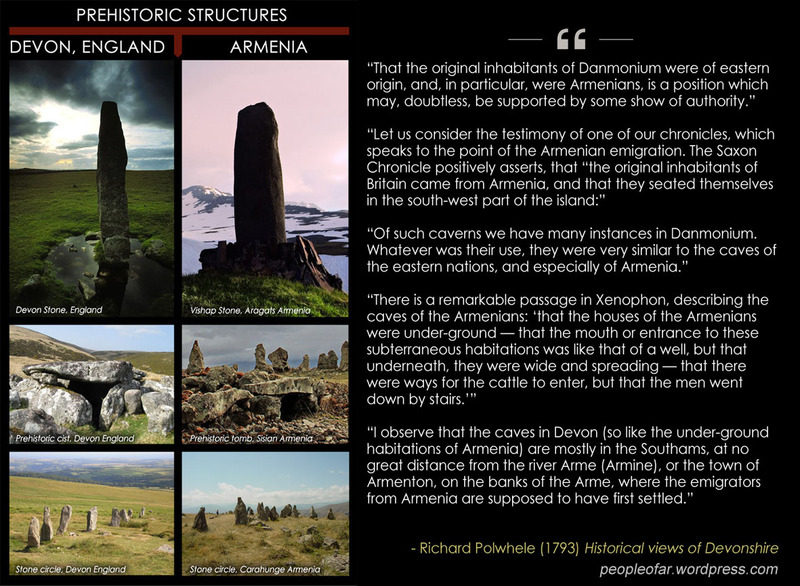 In his book Polwhele argues that the first inhabitants of Britain came from Armenia. 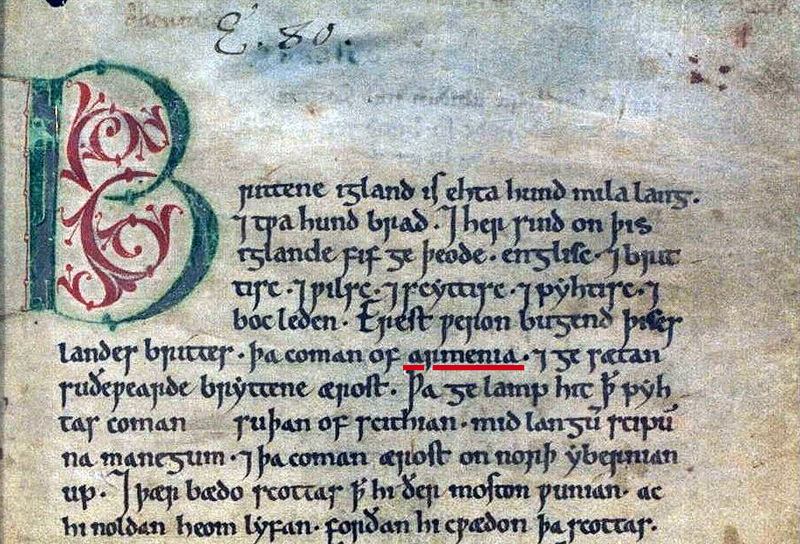 And specifically settled in the South Britain’s Devon or Devonshire as it’s also called. Let’s examine some of the arguments mentioned in the book. ..Striking similarities with caverns standing stones even the legendary mounting of mammoth bones in an fshion found only in the Caucus and Black Sea regions can all be discovered (if you care to entertain this..?) 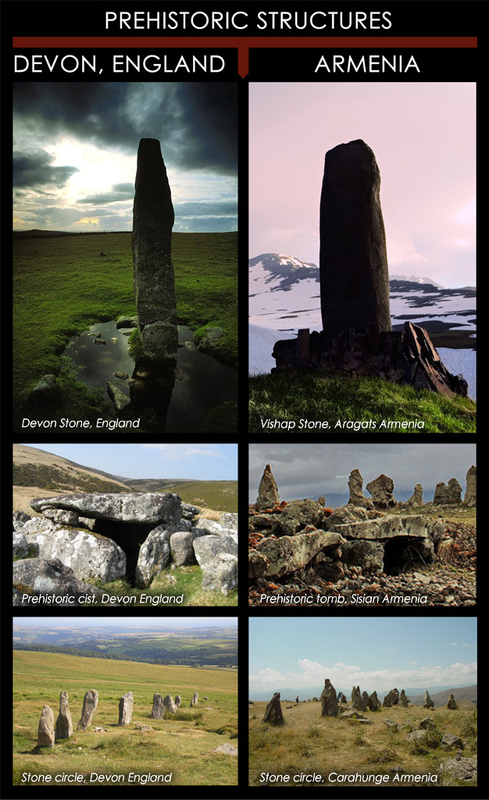 on the east coast of the lothians in Scotland and directly just an mile or so across the forth river in Fife Kingdom…Did Armenian culture exsist in ancient Scotland..Who really knows..? Mary: my grandfather was a redhead from Sepastia in historic Armenia. He, too maintained that redheads were the “original” Armenians. He said that the nation was formed by the merging of two tribes, the Hais and the Armens. Don’t talk without knowledges: as genetic research shows that armenians doesn’t contain any turkish genoms, it is even less then 1 percentage. As You are tall and blue eyes Armenian, it doesn’t mean that the other tall armenians are blue eyes one or shorter armenians does not have blue eyes.